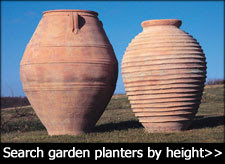 The Cairo is a high-quality planter manufactured using 3mm thick aluminium available in 3 different sizes. 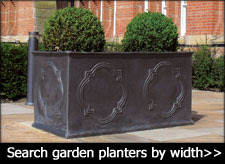 The Cairo planter is suitable for both commercial and residential landscape design projects and is sure to enhance even the grandest of designs. Please pay close attention to the measurements before ordering. The standard finishes are RAL 7021 (black/grey), RAL 7035 (light grey) and RAL 9010 (pure white). An additional 7 finishes are available (surcharge 20%). RAL 9005, 3020, 2004, 7016, 8024, 4004 and 7006. As standard all Aluminium planters are made using 3mm Aluminium that is light, strong, durable and resistant to corrosion. 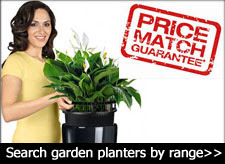 The top edge of all Aluminium planters is reversed twice, which gives them a solid and timeless look. As standard, all ADEZZ Aluminium Florida Planters are equipped with 15mm high feet, so the container is raised slightly off the ground. 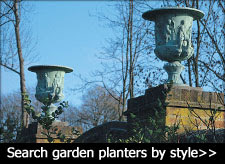 Once fabricated, the planter is powder coated with a strong adhesive primer and finished with a scratch resistant coloured coating. To clean simply wipe down with a cloth and water. Do not use an abrasive material or pressure washer to clean.